here is a link to my Resume! 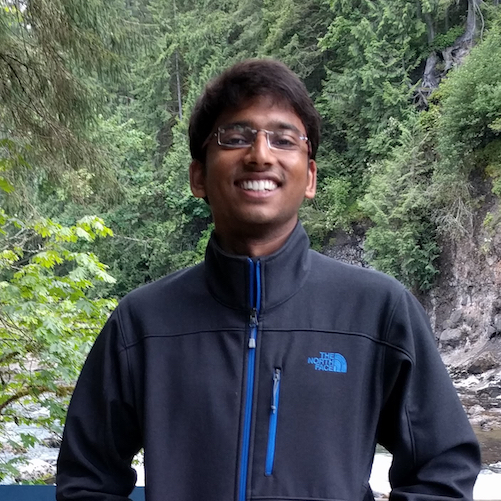 I am Jashwanth /dʒʃ-wɒn-th/, a Data Science Engineer at MachineZone and a Computer Science graduate at University of Southern California, Los Angeles, where I was working on various projects related to Data Science and Machine Learning. I love working with data and applying modeling techinques on them. As to my prior, I was a summer intern at Citrix Online [LogMeIn]. And have a year and half of experience working at Cisco Systems at Bangalore, India. I completed my batcholer's degree in Computer Science form PESIT, Bangalore, India. Worked on building & maintaining data pipelines with good ETL design. Experience with workflow management tools like Airflow, Azkaban. Implemented systems for tracking data quality &consistency for KPI’s. Good knowledge of the principles of fault-tolerance, reliability & durability. Maintaining postback, attribution system and various other marketing data pipelines. Experienced in designing & deploying high performance production services with robust monitoring & logging practices. Developed a distributed, high-performance, fault-tolerant infrastructure to provide an integrated platform for data querying, transformations & deploying Machine Learning models. Working on a python based tool - to create a loan recommender system. Built data pipelines to fetch SMB’s transactional data. Working on various recommendation algorithms based on their features using several Statistical and Machine Learning techniques. Working on a feature extraction and clustering model to predict neurological disorders such as ADHD, ALS, Parkinson’s etc. using Eye tracking data. Working on computational neuroscience and saliency as a part of a research project under Prof. Laurent Itti at iLab. The project is to use a saliency features and build a predictive model which predict where a person will look next given a scene. Worked on creating RTC-SDK fixture, for RTC API deployment on mac and windows in SaaS Team. Created a cross platform app for audio, video chat and screen-share functionality using RTC-SDK. One of the 5 members who provided wrapper for SDN based product, to promote sale of $250 million worth devices. Created a system to perform data store optimization in NXOS. Designed a framework to XMLize outputs of router commands. Worked with the transports team in maintaining and enhancing L4 code of OSI stack. Built a Virtual router which could scale to 50 million sessions. Built a log analytics framework for the various device logs on a live system. Contributed to Parrot Organization by providing LAPACK bindings for Parrot-Linear-Algebra, a Linear Algebra library of Parrot. Developed a model which recommends responsive experts on a particular topic using ensemble collaborative ltering. Various other algorithms were explored in the process. Training data was question-expert answer mapping, word tags used in the question and topics describing the expert’s interests. Similarity was measured between questions using the tf-idf, wordtovec of the tags as features. Was featured in the top 20 of the Byte Cup 2016 challenge. Paideia aims at making lives easier for all of us by bringing knowledge that we need in day to day lives one step closer to all of us. This is an android app using which one can point their phone at quite literally anything and get information about it. For instance, when you want to know more about the fruit that is sitting beside you or when you just want to "learn" more about the stuff that is around you, Paideia helps you to start off. Here is some of the info given by Paideia about random stuff that is around us. Seriously, the kind of information we get through Paideia by observing normal things around us is amazing! SPA is an assistant bot, which assists users in scheduling daily routine, automatic tracking of events, detection of important messages and smart alarms system which automatically sets alarms with adaptive correction and prediction of users’ sleep pattern. Gathered phone sensors data like gyroscope etc. and used it in a logistic regression model to predict the asleep/awake state of user. Improving game AI for 0 A.D. Helped enhance the crisis situation decision making of an Aegis AI bot by changing the bot’s planning algorithm upon detection of crisis situation. Crisis situation is determined by the bots in game performance with is calculated using features like resources etc. An app which helps visualize data using a decision tree model and understand decision leading to credit card rejection of an applicant. Working on a model which recommends experts to answer a question based on prior answers and the domain of expertise. Created a shared memory multiprocessing python API, using python decorators to provide for OpenMP binding in python.